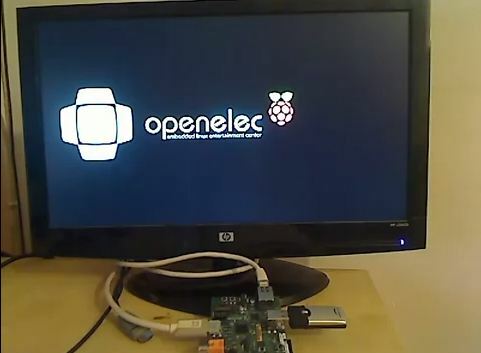 I’ve installed openelec on my Rasberry Pi. It worked great! I upgraded regularly with the prebuild openelec binaries. The upgrade from r11493 to r11691 however went wrong. The system still booted but the screen kept black. After some awesome help on the #openelec irc channel I solved it. I always updated openelec by moving the files from the target/ folder in the openelec packages to /storage/.update on the Raspberry Pi. However on the irc channel I learned I also should update the bootloader and driver files. This are the steps to update the bootloader and driver files. Then copy the files from 3rdparty/bootloader in the openelec package to /flash on the Raspberry Pi. I did it using gvfs in nautilus (ssh://openelec/flash). I rebooted and my Raspberry Pi worked again! In the proces of finding how to solve my problem I also found another source for prebuild Raspberry Pi openelec packages. They aren’t “official” packages from openelec but they worked very well for me.